NEW YORK — When Gabi Wilson is H.E.R. — her R&B singer stage name — she is usually rocking big hair and big sunglasses, rarely showing her full face to her fans. The point is to give the public one simple thing to focus on: the music. But other days, her hair is pulled into a ponytail or a bun and her face is clear, like the time she was being driven in an Uber with a friend and "Best Part," her Top 5 R&B hit, came on the radio. "I love that song 'Best Part,'" H.E.R. recalled the driver saying, adding that he was in his late '60s. "It reminds me of my wife." "I wanted to cry," she added. "It was so special." That anonymity proved two things for the singer: Her choice to release music without giving too much detail about her life worked, and her fanbase is not just made up of teenagers who mainly consume music through streaming — R&B purists love her, too. Since Sony's RCA Records announced H.E.R. mysteriously in 2016, she has become a rising R&B star, achieving success on the road, on streaming services, the charts and even at awards shows. Songs like "Best Part," ''Focus" and "Losing" perfectly blend the alternative R&B sound that's popular today with the traditional R&B sound that some feel is missing from the contemporary music scene. Her first two EPs — "H.E.R., Vol. 1" and "H.E.R., Vol. 2" — gave her an immediate fan base thanks to the songs' honest lyrics and vibey melodies, as she sang about complicated relationships and love lapses. Most people wouldn't think she just turned 21 months ago. 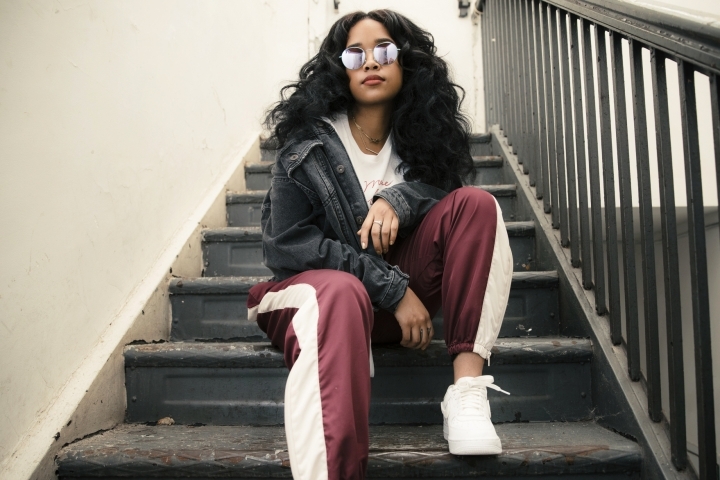 "The way that I released the music did exactly what I wanted it to, which was make people just listen to the music," said H.E.R., which stands for "Having Everything Revealed." ''(And) just listen to the message for what it is because we tend to listen with our eyes sometimes. Sometimes it's all about hype, and I didn't want hype. ...I don't want people to love my music because of what I look like or who I know or whatever." 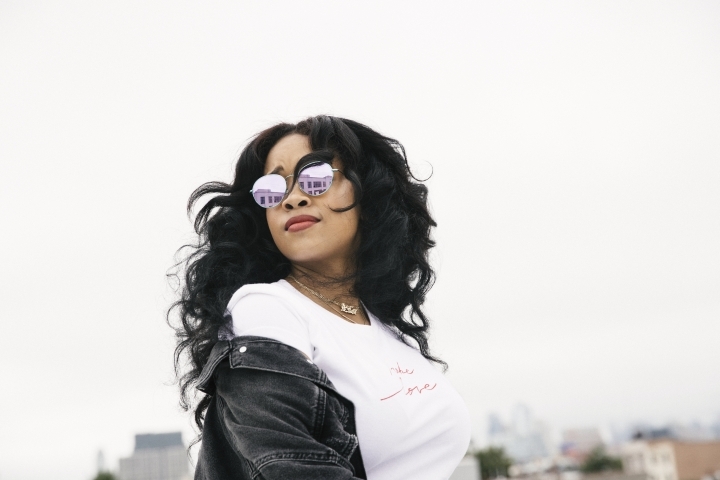 "I feel like maybe some people wouldn't have accepted the music if they knew I was 19," said H.E.R., who was that age when her first EP dropped. "Some people, they make these assumptions before they even listen to the music." "Vol. 1," her seven-song set, was named iTunes' R&B album of 2016. She earned a nomination for best new artist at the 2017 Soul Train Awards. And she opened on tour for Bryson Tiller and completed her first headlining tour. But this year, she reached the Top 10 of the R&B charts with "Could've Been," the gold-selling "Focus" and the platinum hit "Best Part," a duet with Daniel Caesar. She earned a whopping seven nominations at the upcoming Soul Train Awards, making her the most nominated act. And she opened on the road for Chris Brown and will launch her second headlining tour on Saturday in Atlanta. She is Apple Music's latest "Up Next" artist and ranks sixth among R&B acts on the streaming platform. Her success has been so major that a male singer has copied her likeness and released songs under the name H.I.M. "I don't like to acknowledge it," she said of the copycat. H.E.R. grew up in the San Francisco Bay area to a black father and Filipino mother. She was originally introduced to the public as a piano prodigy at age 10, appearing on the "Today" show and covering Alicia Keys' music. She was signed to Sony at 14 and said though she wanted to release music at times — she did try with the song "Something to Prove" in 2014 under Gabi Wilson — she appreciates the time she had to develop as an artist and work on songwriting and grow as a pianist, drummer and guitar (she plays electric, acoustic and bass guitar). Keys, who met H.E.R. over a decade ago, had similar beginnings: She was originally signed as a teenager and didn't release her first song, the No. 1 hit "Fallin'," until she was 20 in 2001. "I was signed when I was 14 and then had been developing all the way up to the first album and probably a lot like H.E.R.," Keys said. "You feel super anxious because you have all of this music you've been working on for years. You have your dreams and you have your wishes and of course you find yourself hoping that it's going to all work out. Sometimes you've got to sit for a minute and wait for that right moment. That's hard — that discipline is almost just as hard." "I saw H.E.R. developing as an artist, and she really had this thing about her that was so exciting because it was such serious musicianship," added Keys. "And then fast forwarding now, X amount years later, to where she is now and seeing that all come together, I think the beauty of that is the fact that she was really able to take her time and be an artist and develop and be a young girl. Her eyes and her destiny have always been on this place and needed to land in this world. And it's only going to get brighter, bigger and better." This year H.E.R. released her second pair of EPs, titled "I Used To Know Her" parts 1 and 2, taking on new sounds and moods in comparisons to her earlier projects. A full album is expected next year. She's even revealing more of herself: In the music video for "Could've Been," released last week, you can even see her face. "I think everything will be revealed in its proper time and slowly, like the developing of a polaroid — that's kind of what you see and what her reveal is," said manager Jeff Robinson, who signed both H.E.R. and Keys to his MBK Entertainment company when they were teens. "There was never any hiding — just a concentration on the music," he added. 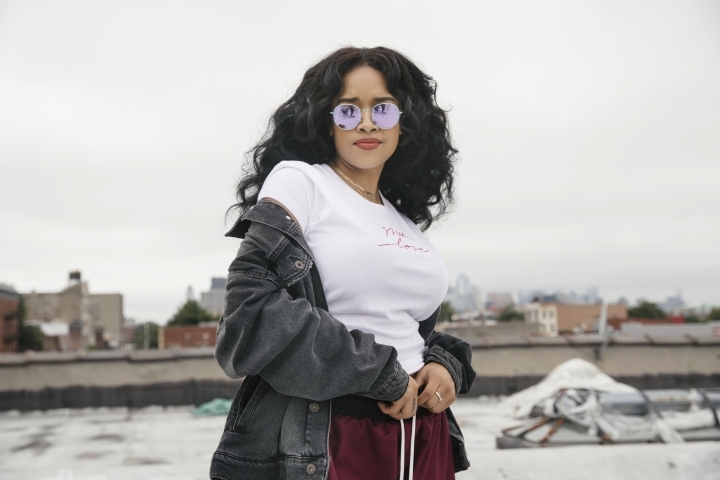 For H.E.R., she's just happy to have connected with fans of all ages in an organic way. "I'm so thankful that at this point, even if you see my face or know who I am, it doesn't matter, because you already love the music," she said. "You've already accepted it."